My son looked up from his math, pointed his finger in the air, and exclaimed, “Kid’s grades could be in danger!” He had found a mistake in his math text. I admit, it was a unique reaction, but I knew exactly why he had said it. Blame it on our reading aloud. We had recently finished Carry On, Mr. Bowditch. In it Nathaniel Bowditch was furious when he found a mistake in the mathematical calculations of Moore’s Navigator. He declared, “Men’s lives depend on these figures!” because he knew sailors navigated the dangerous oceans based on the accuracy of those calculations. Often some phrase has caught the attention of our family during a read aloud, and it isn’t uncommon for us to begin quoting it around the house. My son had just put his own twist on it. But I want to highlight the three benefits that made it so memorable for us. 1. 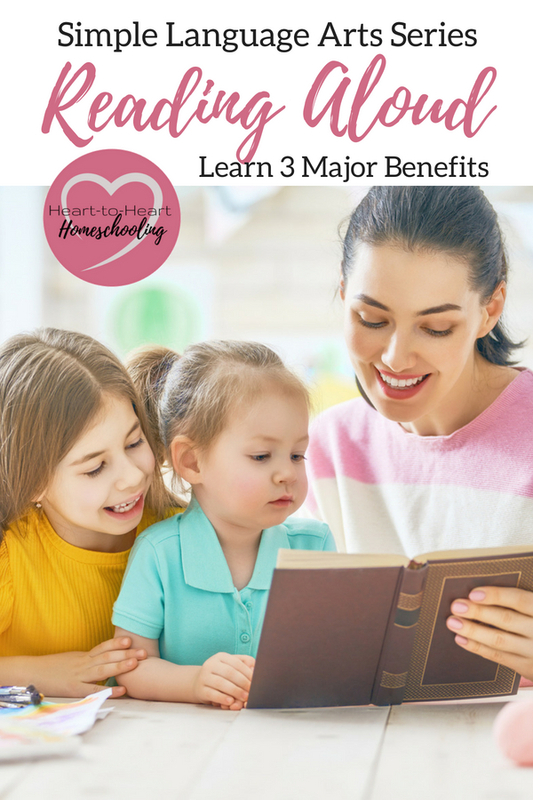 Reading aloud builds family relationships. When my oldest son began his freshman year I chose a curriculum that was designed to be done independently. While reading to my youngest, almost daily we would hear a comment—actually multiple comments—from the other room about what we were reading. I finally gave up and let him come listen, too. It wasn’t like he was really paying attention to the assignment he was supposed to be working on. A family, a class, or any group that reads aloud has a sense of communion as they share together ideas and human experiences. The time we spent reading books together became some of my favorite memories. The discussions they generated, as well as the fact that we really enjoyed so many stories together, deepened our relationships through the sharing of ideas and experiences. And, as I shared at the beginning, those memories spilled over in the phrases we used around our home. They became our family’s own special language. Whether “kid’s grades were in danger”, or my youngest was telling my oldest, “Precision of language, please” (from The Giver)—there is something about referencing a shared experience that brings families together. Our little inside jokes. Reading aloud naturally leads to so many discussions. The topics we talked about varied as much as the books we enjoyed together. Of course, by discussing and interacting with the text, my children’s language skills grew, but perhaps the most important aspect for me was how it helped me get to know my kids. Talking about books—stories and characters—gave me a glimpse into what they were thinking about the world around them. How they processed life. And hopefully my questions helped them learn how to think through different issues. We learned from one another. 2. Reading aloud teaches about character. 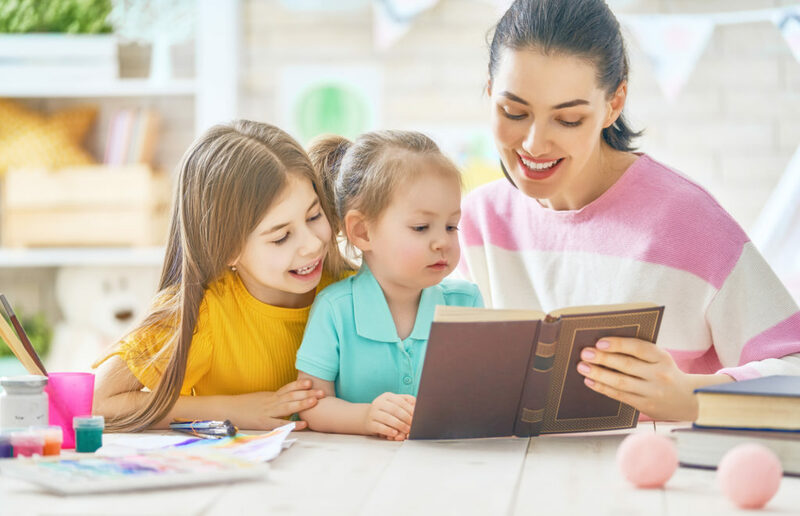 Reading aloud, and discussing different topics that naturally come up, is a non-threatening way to talk with our kids about worthy character traits we want them, and ourselves, to develop. Just as Jesus used stories to teach his disciples, we can use stories to teach our children. For us, reading aloud was a natural way to train their character as well as their minds. For example, when we read Johnny Tremain by Esther Forbes, we talked about Johnny’s struggle with pride and how he was humbled. We talked about how the prank by one character, Dove—a boy who was jealous of Johnny, and whom Johnny had looked down upon—ended with more severe consequences than he ever imagined. The incident had lasting consequences and neither boy was without blame. We’ve observed disobedience, selfishness, and fear in the lives of some characters, but we’ve also seen perseverance, courage, faith, and hope in the lives of others. We have seen how imperfect people can grow and change. And as my oldest once pointed out, “The bad guys aren’t always all bad, and the good guys are always all good.” Thanks, Peter Pan. Sometimes they are fictional characters and sometimes they are real, but all the people we have met through reading affected us. 3. Reading aloud shows students how authors craft compelling writing. My sons are now in college, but I’ll never forget how reading and implementing The Writer’s Jungle when my oldest was in elementary school affected the way I approached teaching Language Arts, specifically writing. And the most important element of teaching writing was actually reading. Reading aloud is simply another component of a natural approach to teaching writing. I had always thought of reading aloud as being all about the story. And yes, story is a big part of it. But we can also use reading aloud to intentionally teach our students about the craft of writing. And note, the word “story” also implies how I thought of reading aloud only as reading fiction. But reading aloud can encompass all kinds of reading—from novels to short stories, fiction to non-fiction, poetry to plays. At times I would stop and point out a particularly compelling use of imagery (not too often as to interrupt the flow). At other times after our reading, I would go back and point out examples of different literary devices the authors used, or how they wrote the dialogue. We often used these passages as our copywork or dictation. And my sons both stopped me at times as I read to point out a description they liked, too. Our ears became trained to appreciate the use of language along with the enjoyment of story. And if you don’t want to do this on your own, Brave Writer has some wonderful resources to help you. These Language Arts lessons center around a book—one we would use as our read-aloud. The Wand for K-1st grade, A Quiver of Arrows for 1st-2nd grade, The Arrow for 3rd-6th, A Pouch of Boomerangs for 6th-7th, and The Boomerang for 7th-10th. Teaching Language Arts naturally simplifies your day, and students learn in a way that is both powerful and effective. Narration, copywork, dictation, and reading aloud are all tools you can use. And reading aloud is perhaps one of the most enjoyable components of them all. Love this! You are so right. I love hearing my kid’s talk about the book we read and I love your perspective on how that brings family closer together. Thanks so much Andrea! It really does open up so many opportunities for conversation! House of Sixty Fathers is a book we enjoyed reading together. Fascinating story!